Next up for review of TT products is their Household Traditions Dish Detergent. I'm always looking for different options for less toxic cleaning products that work, so I wanted to give this dish soap a try. 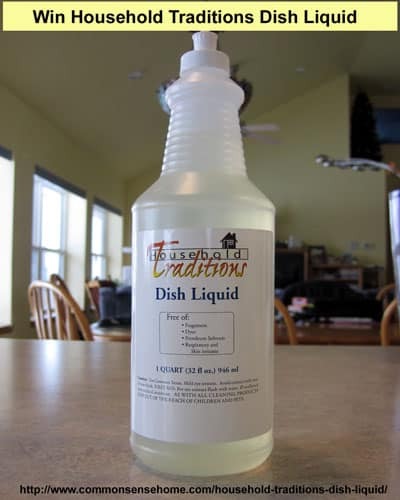 What are the ingredients in Household Traditions Dish Liquid?